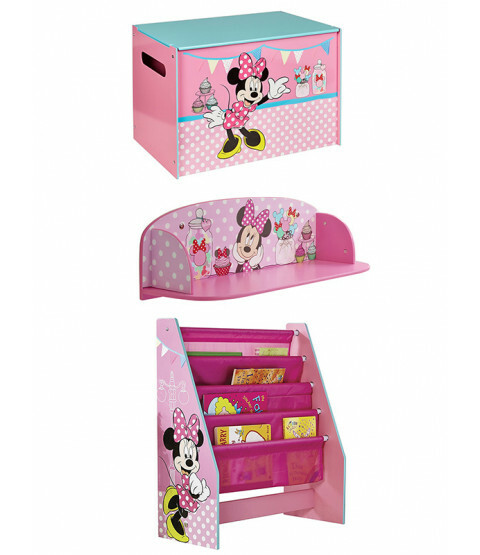 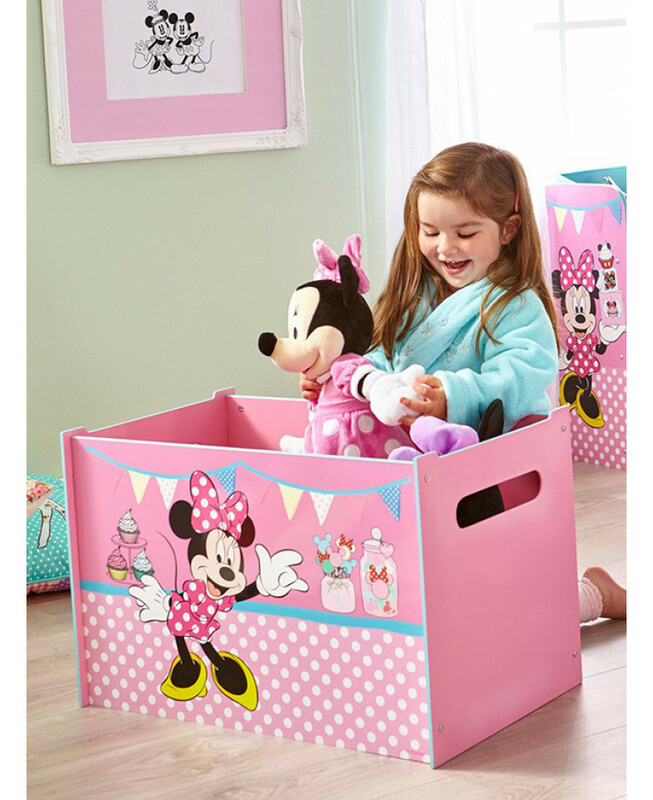 Solve all your bedroom storage issues in one go with this fantastic Minnie Mouse Bedroom Storage Set. 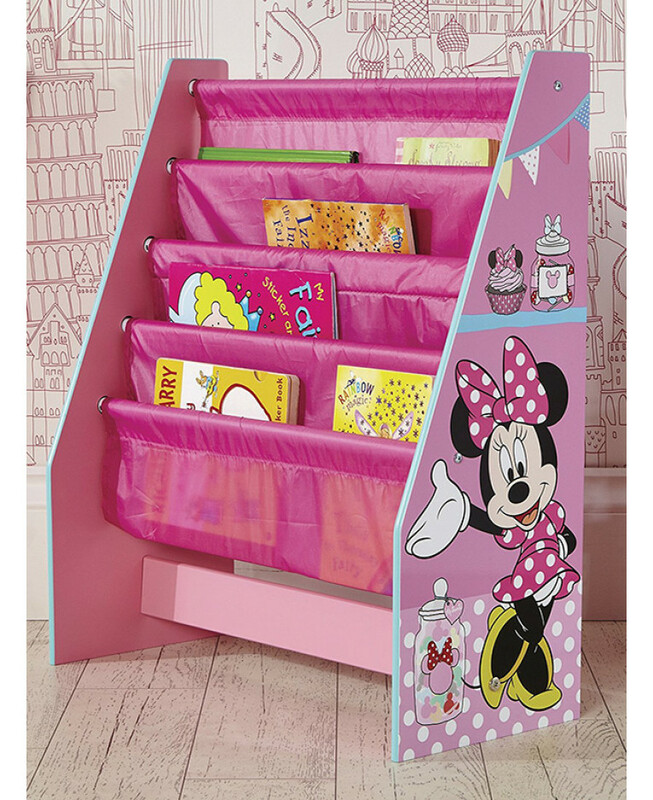 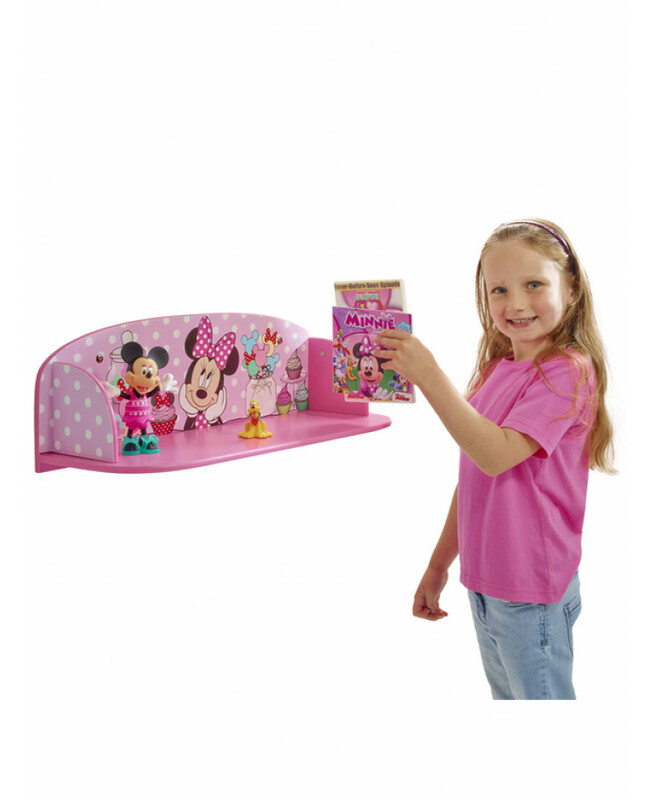 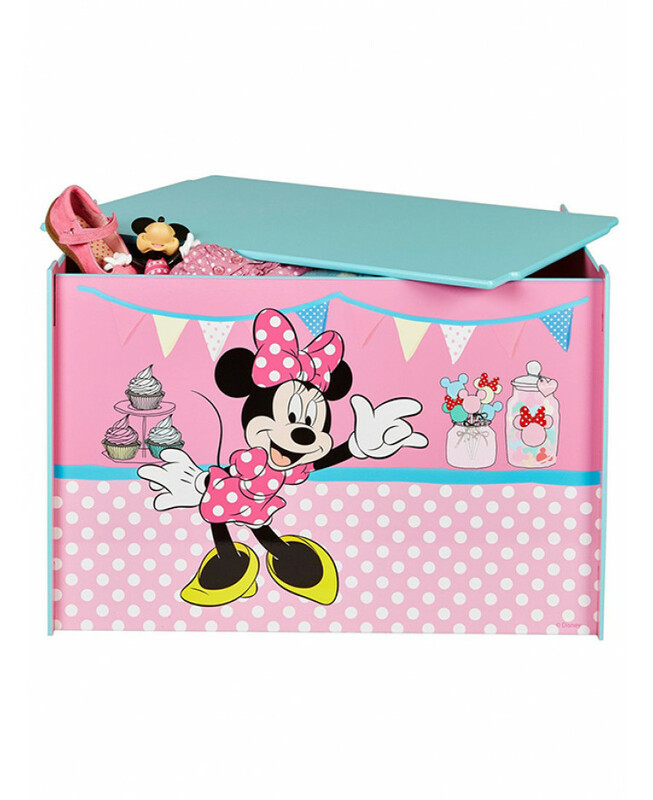 Ideal for any little Disney fans, the set includes a toy box, sling bookcase and wall mounted bookshelf all made to the highest children's safety standards and featuring great Minnie Mouse graphics. 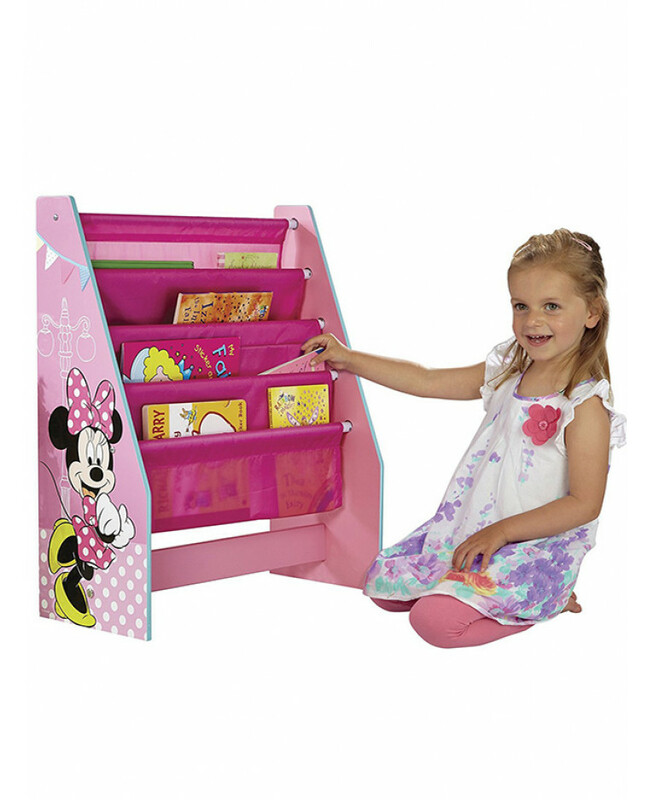 These items are great for storing toys, books and games and are perfect for encouraging children to tidy away. 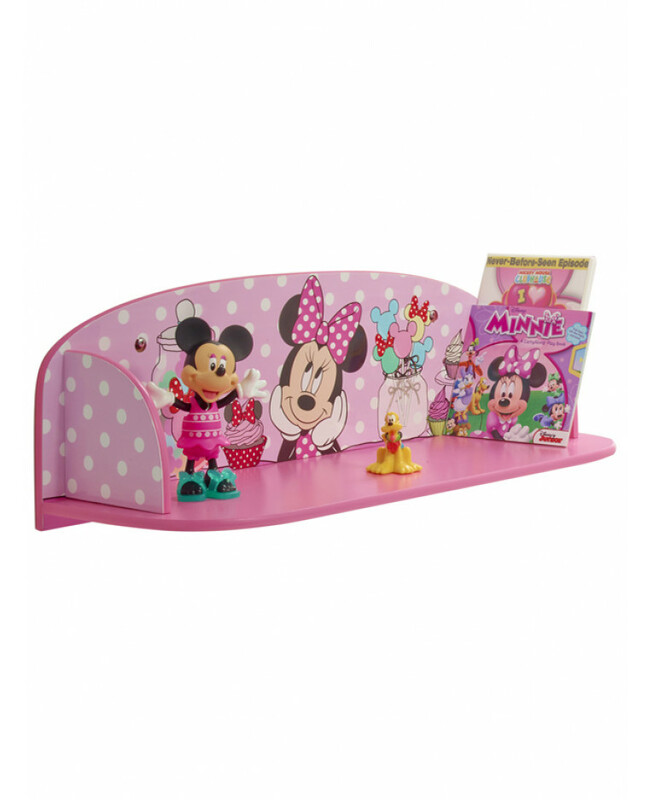 Why not add some bedding and accessories from our Minnie Mouse range to complete the look.